Posted on Jul 15, 2015 by Appleton Downtown Inc.
Are You Ready to Solve a Mystery? 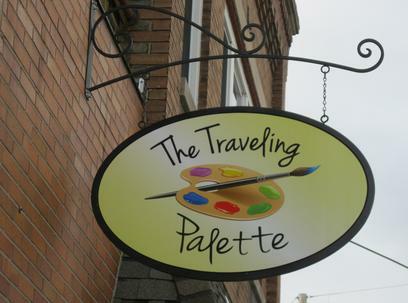 Enjoy an afternoon or evening of mystery and creativity in the Gallery at The Traveling Palette, 109 N. Durkee Street in Downtown Appleton. With a 14" x 18" canvas, acrylic paints and variety of brushes, you will paint your character while learning special painting techniques and basic instruction of portrait painting. As the painting progresses, you will receive clues to who the killer may be! Perhaps it is even YOU! The discovery is made with the final stroke of the brush. With your accurate guess comes a simple reward. Also, vote on and choose one in your group as having the best acting skills. You won't want to miss this event of mystery and perhaps a touch of creative madness. You may bring your own beverages/snacks for yourself or your group. The Traveling Palette provides coffee and bottled watered.